If you happen to find a cheaper price on a stocked item we'll beat it by 10%. Excludes trade quotes, stock liquidations and commercial quantities. Shelf prices may be lower than advertised to ensure lowest prices every day. Please visit web for more information. Bunnings Warehouse is the go-to retailer for a wide range of home improvement and outdoor-living products! 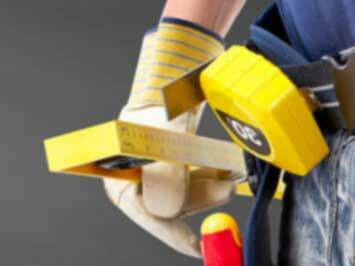 Bunnings Warehouse is undoubtedly the go-to-place when it comes to home designing or remodeling. Bunnings Warehouse offers a number of in-store services such as color matching, DIY workshop, key cutting, tool hire shop and special kid’s activities. You can check the Bunnings warehouse catalogue to know the best deals and have a look at the widest range of products to choose from. When shopping online don’t forget to use the Bunnings store promo codes. 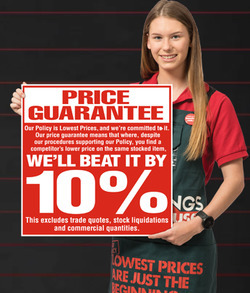 Bunnings warehouse give a lowest price guarantee to their customers and promise to beat it by 10%, if you ever find so. There are 223 Bunnings warehouse, 33 trade centers and 64 small format Bunnings stores across Australia and New Zealand. Bunnings was founded in Western Australia in 1887, by two brothers who had immigrated from England. Initially a limited company focused on sawmilling, it became a public company in 1952 and subsequently expanded into the retail sector, purchasing several hardware stores. Bunnings began to expand into other states in the 1990s, and opened its first warehouse-style store in Melbournein 1994. The chain currently has over 300 stores and over 30,000 employees. Bunnings has a market share of around 20 percent in the Australian retail hardware sector! On weekends, Bunnings outlets regularly host sausage sizzles and cake stalls for community groups and causes. Having become a ubiquitous part of the Bunnings Warehouse brand, its sausage sizzles have reached iconic status within the Australian public. Bunnings also provides gardening, craft, and woodwork Do it yourself (DIY). workshops for children in store, as well as for other groups in schools, nursing homes, and hospitals. The Bunnings staff is available to community groups for assistance with D.I.Y. projects. If you are a DIY lover, you can certainly take benefits of Bunnings Warehouse Hire Shop to rent expensive machines and equipment.